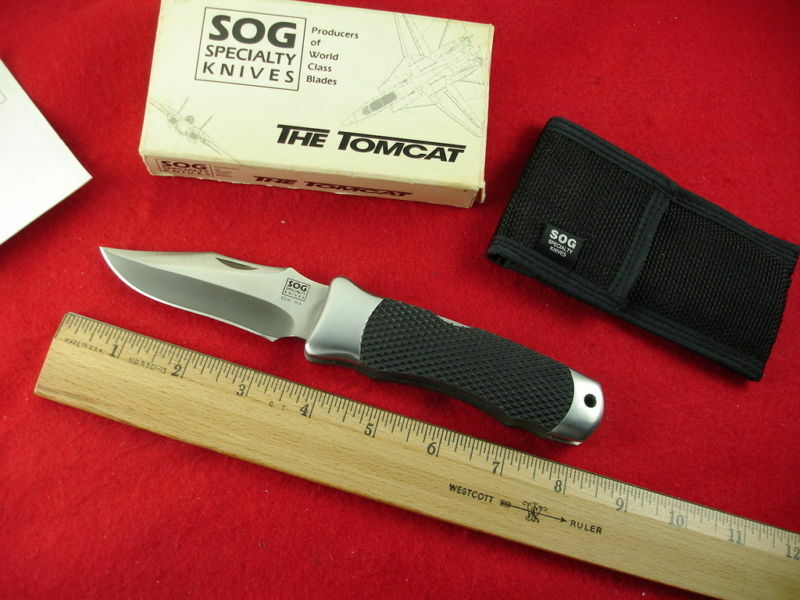 The SOG Tomcat is one of the largest folding knives from SOG. 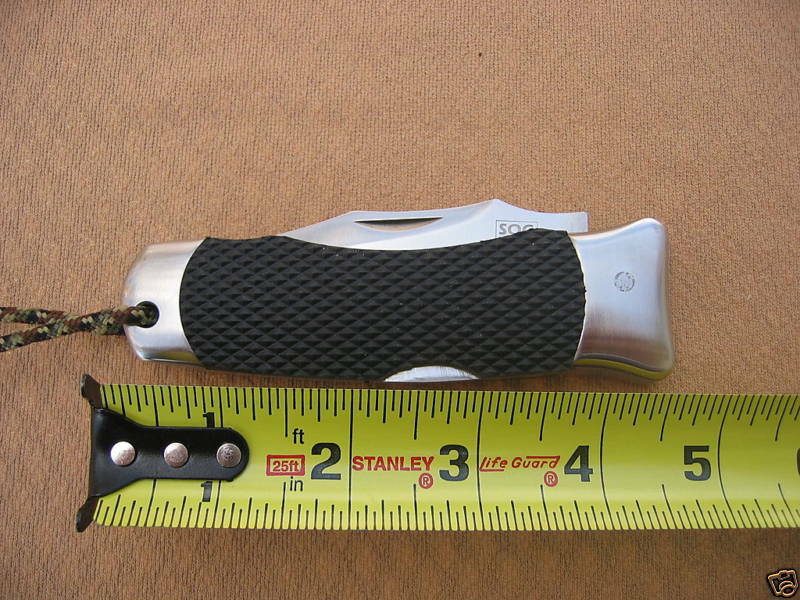 It features a thick blade of 0.2" and is backed up by a solid lock. This makes it a heavy-duty folding knife, and though it weighs more than the average folding knife it will stand up to hard use. It was also one of the first folding knives to incorporate a bowie knife design into a folding knife, along the lines of the S1 Bowie. 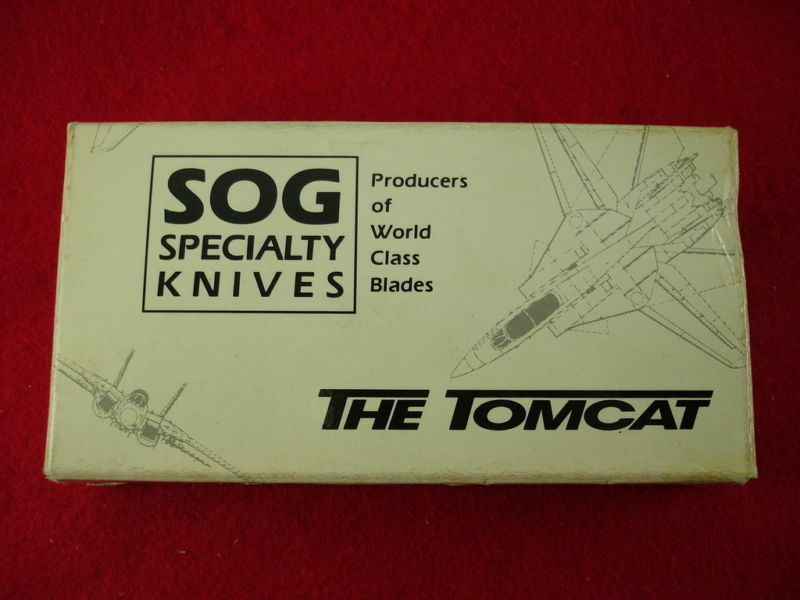 The SOG Tomcat also won 'Overall Knife of the Year' award in 1988, one of the first awards won by the company, for its great and unique design. 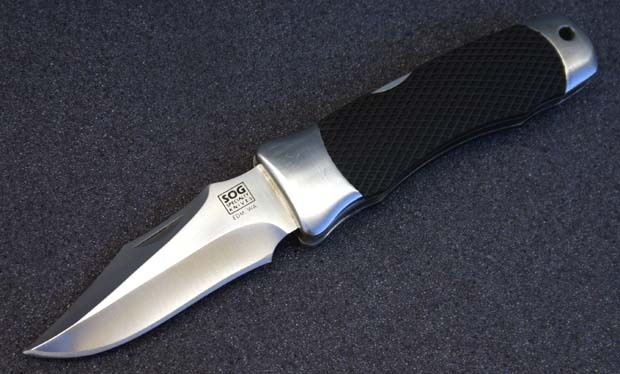 Many owners particularly like this version of the Tomcat for its clean look and heavy duty lock, like many of SOG's early folders. 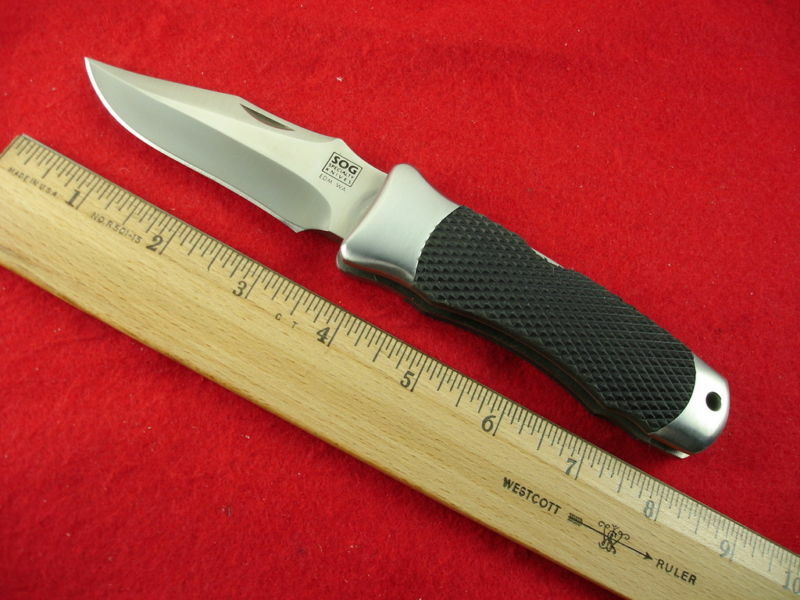 The Tomcat was and still is a popular design and has not dropped off the SOG production list. 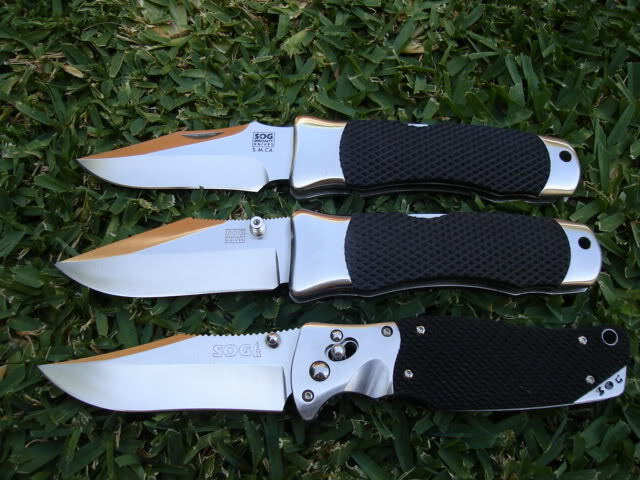 It is one of the most collectible SOG folding knives and the earliest version of the SOG Tomcat is hard to find, with the right engravings. Other later versions include the Tomcat (Cocobolo) - limited run with Cocobolo wood handles, Tomcat II and the Tomcat 3.0. Copyright © Notice: If you plan to use our information (eg. selling your knife on Ebay), please cite our website by saying "Information taken from: http://www.sogknivescollectors.com"or mention our website. 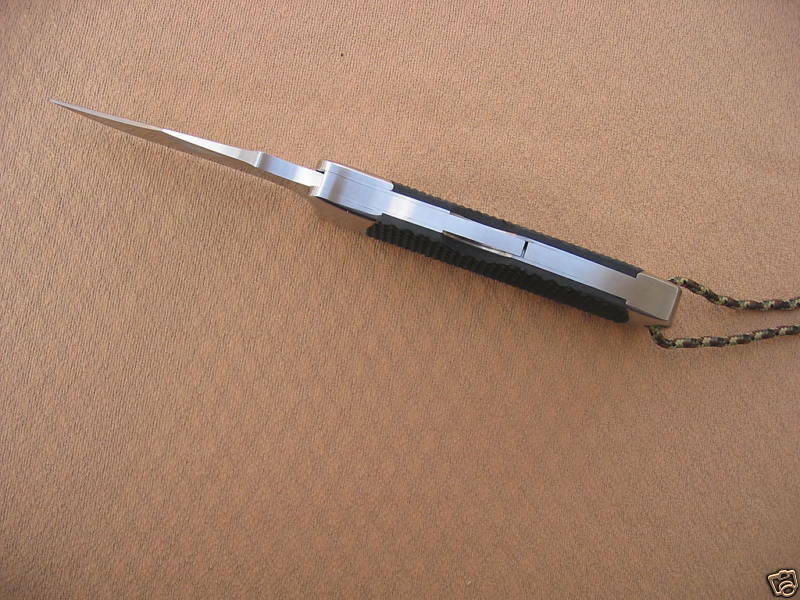 Blade Length: 3.75 in. x .200 in. Limited run? : No, but limited run only for Cocobolo handled model. Other things of interest: The earliest of all SOG folders. Limited run of cocobolo handled Tomcats. 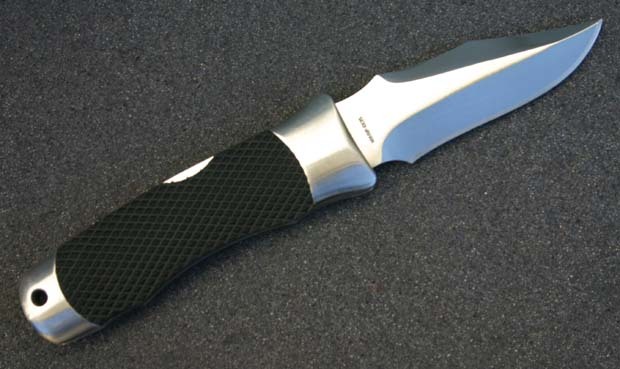 The state of the art in folding knives. Now you can have that bowie design you always wanted in a folder, giving optiimum performance and full range capability in virtualy every situation. This futuristic blade shape will cutlike a much larger knife and yet will fold to a small, sleek package for ease in carrying. The all high-carbon stainless steel construction will insure a lifetime of reliability. Featuring the new negative-draft locking bar system, this mechanism relies on leverage rather than spring pressure to positively lock the blade in the open position for the ultimate in safety. This all adds up to oe of the most unique knives to ever be produced! From the open range to close quarrters, the Tomcat will travel anywhere and everywhere.